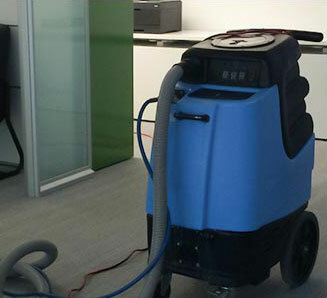 Austin Carpet Cleaning is a dedicated carpet cleaning service provider serving Austin Texas. We offer expert carpet and upholstery cleaning services, as well as air duct cleaning. Our technicians are trained to give our customers the cleanest, most courteous cleaning service in town. Your carpets and rugs are in good hands with us. Call Carpet Cleaning Austin team today at 512-535-2386 for a free estimate. People living and working in the Austin, TX area can invite guests to enjoy the ambiance of their home knowing their carpet, rug and upholstery are being cleaned by us. We trained in upholstery cleaning, rug cleaning, commercial carpet cleaning and leather furniture care in case these tasks are the last thing on your mind. Austin Carpet Cleaning is your best choice for professional carpet cleaning service in Austin, Texas, using truck mounted carpet cleaning units - professional carpet cleaning equipment with the ability to wet/dry vacuum - which can bring a dull carpet back to life and put your old cleaners to shame. Get rid of pet stains and odors using a pet stain remover designed specifically to handle the shag or thinner carpeting in your residence. Vacuuming to remove mud and soil only does a rudimentary job of carpet cleaning. To get your carpet into a much cleaner shape, let go of the vacuums and call in a good carpet steam cleaning service. Removing deep seated dust and dirt, not eliminated by the basic cleaning routine, from the average mat is handled best with the help, expertise and understanding provided by a professional expert. Please remember that different types of carpet fibers require specific techniques to bring back the life and vitality they used to have when you first purchased them. Wool, for example, can be given a good steam cleaning using the water extraction method to remove remaining solvents and petrochemicals from years of use, but Oriental rug composed of silk fibers should be treated with a dry carpet cleaning method using a cleaning agent specifically designed for the job. Have you been doing some carpet cleaning around your domicile for years and thought this periodic cleaning should suffice? Then, the built up solvents, petrochemicals, soaps and detergents left in your carpets each time you gave them a cleaning with a store-rented portable unit have been destroying the expensive fibers of your floor covering and it's time to enlist the services of a professional carpet cleaning service providers to minimize the damage. Respected businesses will use a suitable cleaning technique, designed specifically for certain carpets, in order to remove all the unwanted contaminants and leave them looking like new. In this case, replacing expensive carpets is unnecessary. Call Carpet Cleaning Austin today at 512-535-2386 for the best carpet cleaning service. Having your carpets professionally cleaned with the help of Carpet Cleaning Austin, serves to control allergies and asthma, enhances the look and feel of your home for guests and family and takes time consuming chores off of your list-of-things-to-do. You and your loved ones will have more time to enjoy the good things in life you have worked so hard to achieve. Filling up your life moments spent with family and friends, instead of wet-hours spent bent over the portable carpet cleaning device you rented at the store is what our cleaning team is all about. Carpet stains or flood damage is a job for professional cleaners with years of experience, knowledge and training designed to make these tasks easier. Any inaccuracy in required cleaning techniques can flush the money you invested in your carpets down the drain, therefore, cleaning and maintenance of your expensive carpets is best left to the caring hands of Carpet Cleaning Austin technicians who are trained to handle the problems associated with cleaning hard-to-remove stains from expensive fabrics.